You never know if something is special and unique until you have a look inside. Only then is it possible to see if it has been designed with care and dedication or if it’s all a façade. At Santos we are not scared to show our interior as it reflects the passion we feel when designing more than just furniture. This is what defines us and also what makes us different. 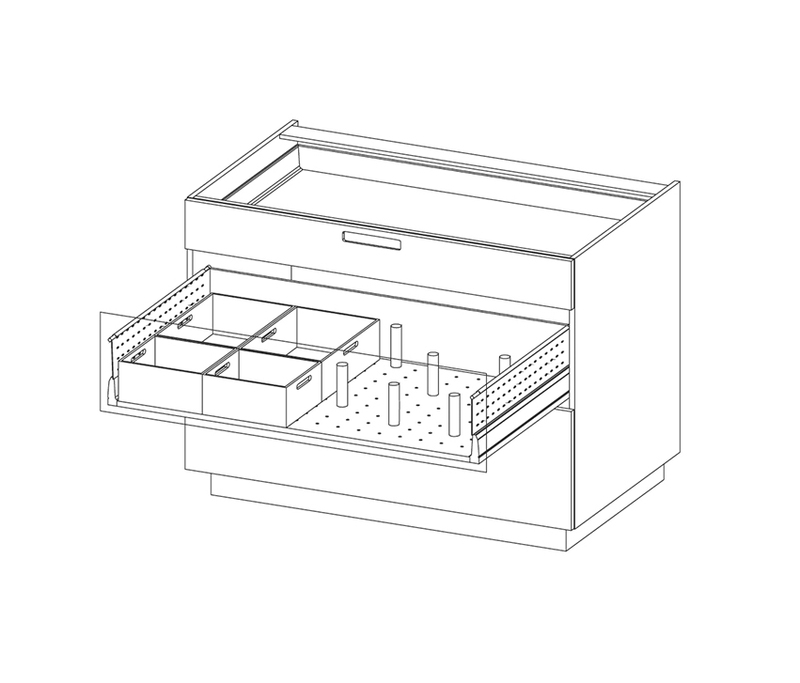 The ergonomic study of the daily activity in the kitchen has led us to structure the base area in three levels that offer maximum storage capacity as well as making organising the space easier. The most frequently used items are organised In the first level drawers. 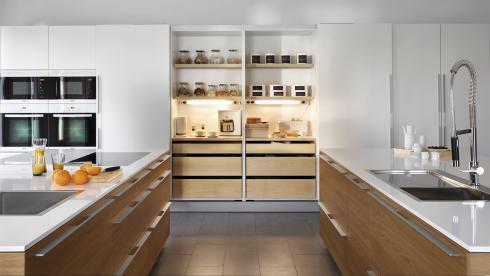 Dishes and food are organised in the second level drawers. 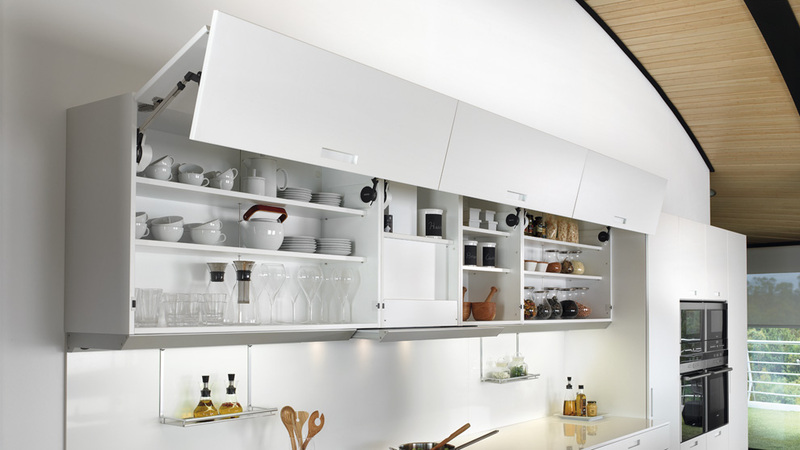 The third level is designed for storing large kitchen utensils. The tall unit area is generally used for storage space and to house large electrical appliances. 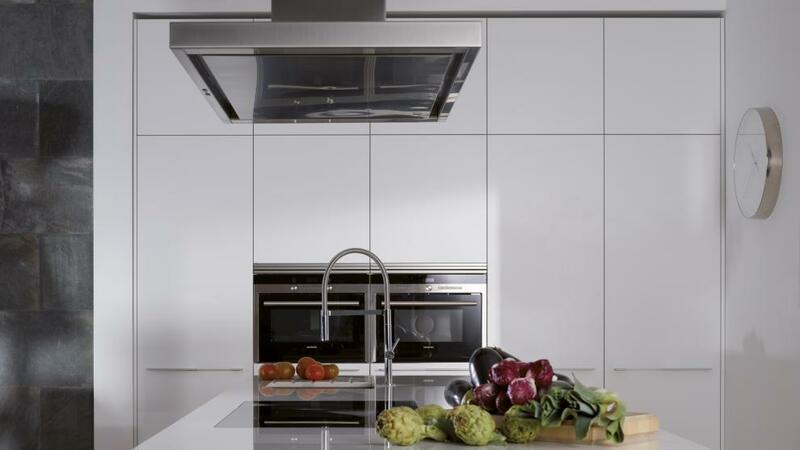 With the aim of providing solutions for all types of kitchens, Santos has tall units in different heights and numerous options for the interior distribution: fridge units, oven units, storage units, utility units, roller-shutter units etc. 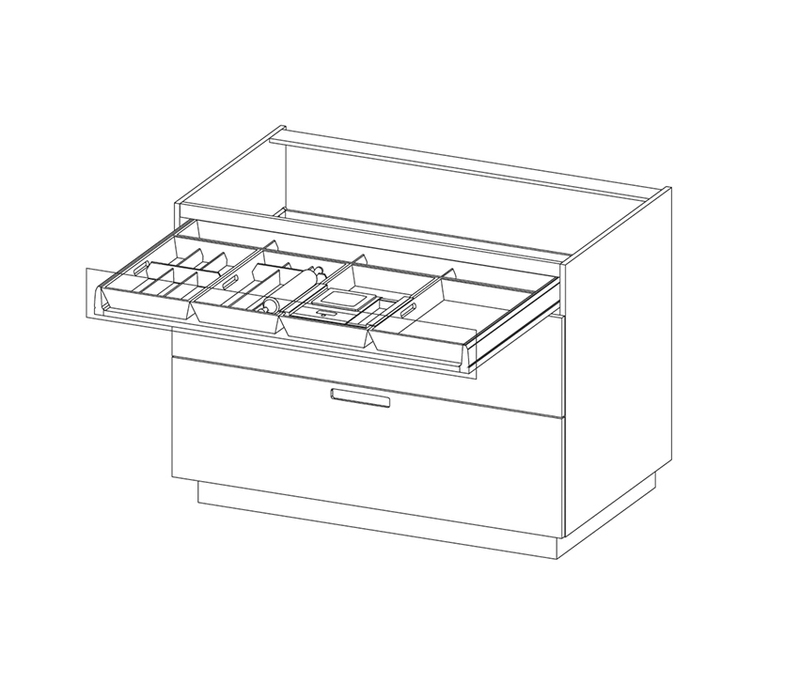 Its high capacity interior drawers, that can be taken out, make organising the shopping and reaching the contents much easier. 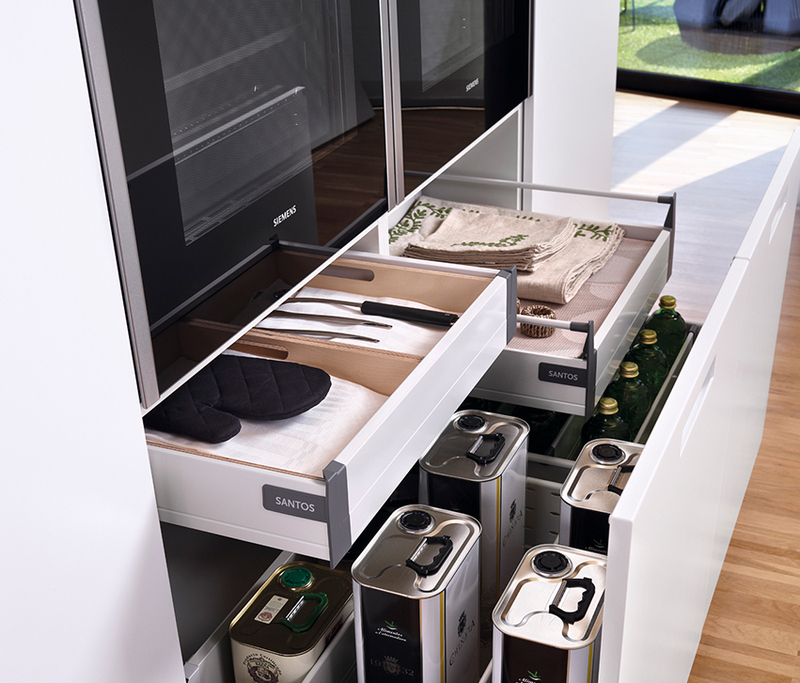 Tall units equipped with 60 cm high drawers enable the storage of bottles and other tall items. 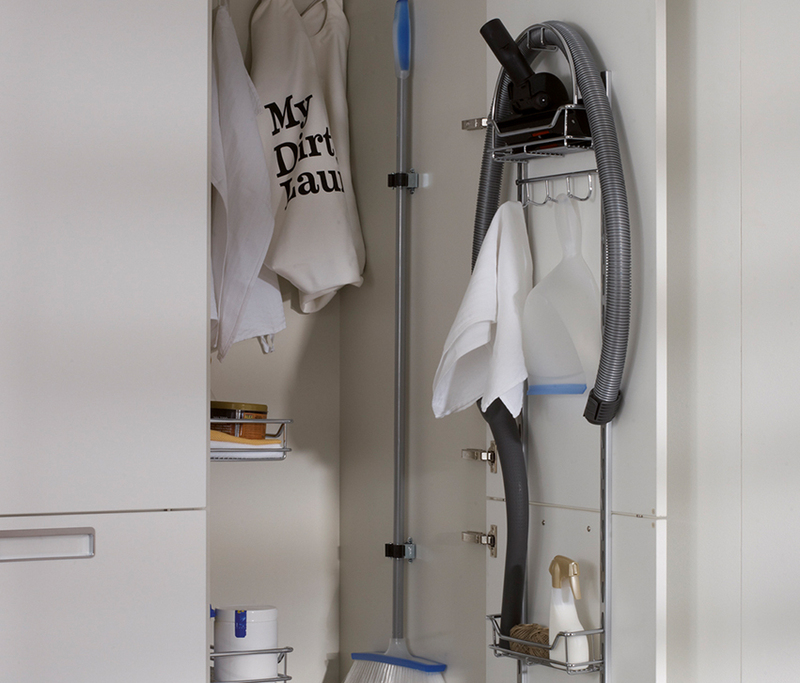 This unit can be adapted to the user’s needs by using different utilities: shelves, hooks for brooms and cloths, accessories for vacuum cleaners, etc. With this system the unit is able to nearly reach the ceiling, whatever the height, making the most of all the available space. 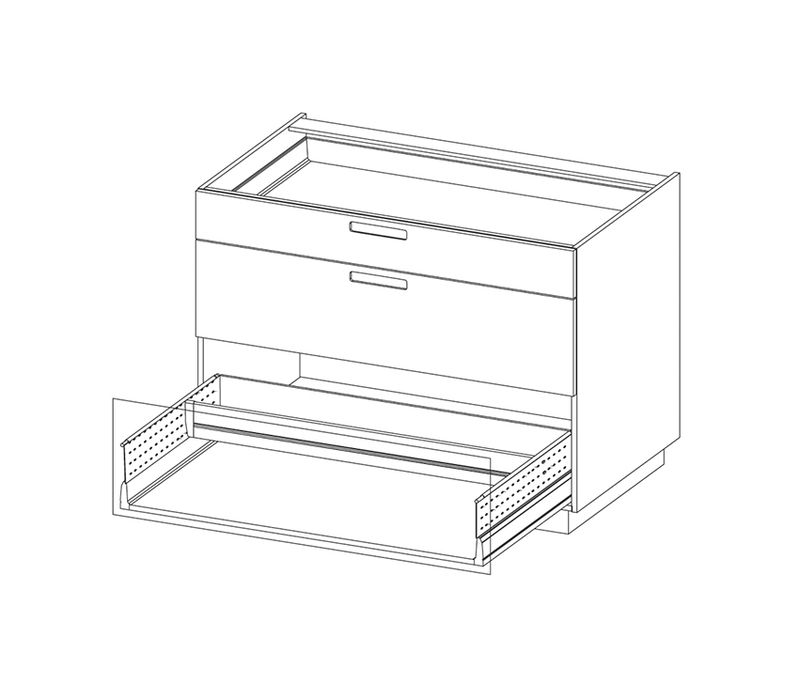 Unit with a side-opening door equipped with reversible wooden grill shelves. The optional glass surface makes it possible to use it as a china cabinet. The roller-shutter unit designed by Santos is unique thanks to both the handcrafted fronts and the quality of the materials used. 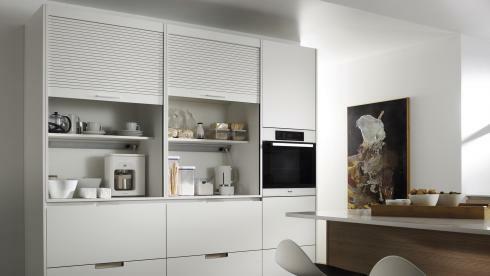 Tall units with 160cm and 180 cm wide sliding doors. 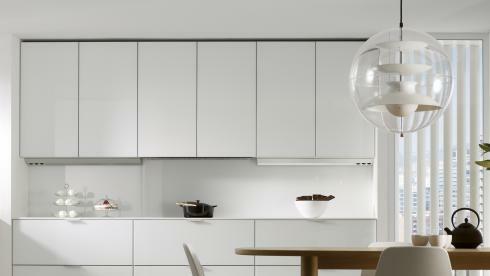 This coplanar sliding door system allows doors to open fully, providing greater visibility and easier access to the interior of the unit. 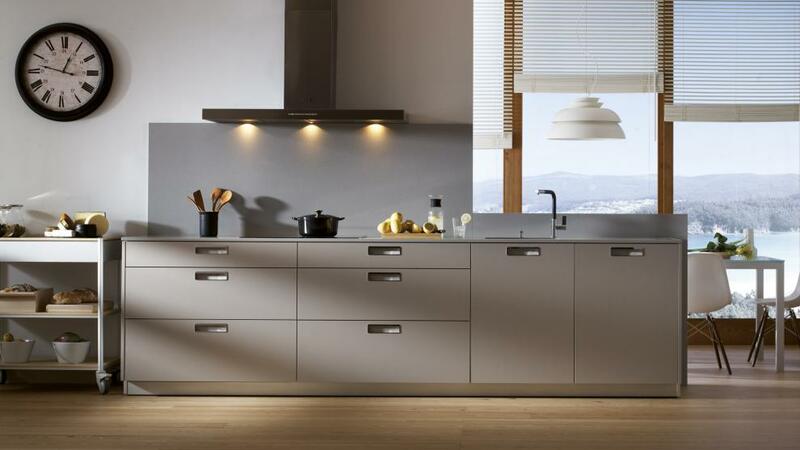 There are two types of wall units: horizontal and vertical. 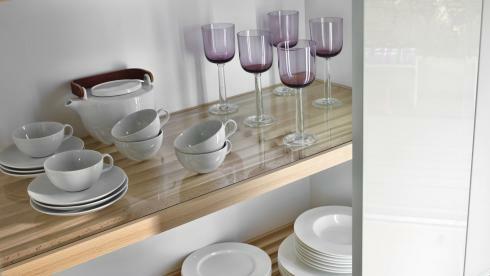 Both types are constructed with 19mm thick base and shelves. The interior is totally adaptable to the preferences and needs of each user. Santos offers many opening systems for these units: stay-lift, swing-up, folding, sliding and assisted side opening doors, etc. 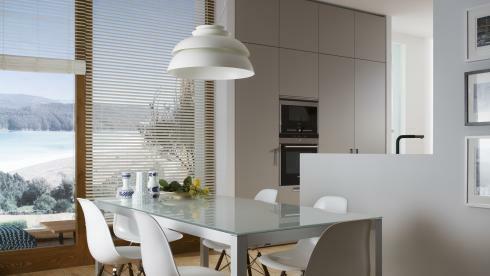 In rooms with tall ceilings it is possible to install wall units that reach the ceiling and consist of only one module. 1) Locate your kitchen’s identifying label. You’ll find it on the inside of the sink unit. 2) Scan the QR code on the label with the camera of your phone or tablet or manually enter the reference and ID code on this page. 3) If for any reason you are unable to access the identifying label, please ask your Santos distributor for the reference and ID code for your kitchen.